The one and a half hour cruise runs slowly along the historic river, taking in views such as Saigon Newport, Thu Thiem Bridge and Saigon Bridge. You will also pass by numerous islands for a chance to witness fishermen vying for a final catch as the sun sets on this lively part of the city. Guests are served free flowing drinks and specially selected canapés while enjoying a romantic evening exploring the Saigon River. World Discovery specialises in Tailor-made holidays. We can incorporate this evening cruise during your stay in Saigon on one of our selection of Vietnam Holidays. During this innovative new day trip guests will explore some of Hoi An’s most beautiful hidden spots that only a few tourists visit. They will meet with locals and learn about their commitment to a sustainable, eco-friendly way of life. Guests are free to choose self-drive or be chauffeured around on the back of a unique collection of electric scooters. 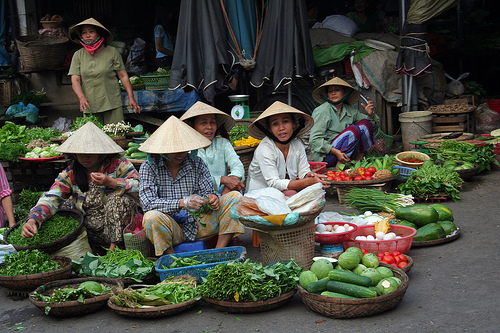 Hoi An is featured in several World Discovery sample itineraries, including our popular 10 day Vietnam Highlights tour. Lying to the southeast of Hoan Kiem Lake, Hanoi’s French Quarter romances guests with grand boulevards and elegant French colonial buildings. These include the stately Opera House based on the neo-Baroque Opera de Paris – complete with gray slate tiles imported from France – and the National Museum of Vietnamese History. The French Quarter is perhaps the most resplendent part of this animated, vibrant and bustling city. Architects blessed the area with wide Parisian boulevards, leafy green parks and superb examples of French Colonial architecture. Experience Hanoi from the back of a Vespa scooter with World Discovery for an adventure like no other. This is one of Hanoi’s famous ‘must do’ encounters – otherwise your visit to this amazing city is not complete. Riding pillion on an antique Vespa, guests are treated to all the fantastic sights and resplendent architecture – even stopping at a famous ice-cream maker before concluding the tour at 1:30pm. 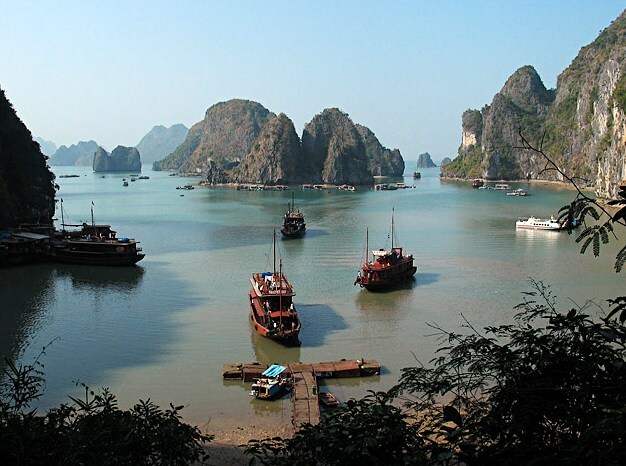 At World Discovery we can incorporate this thrilling excursion into any of our Vietnam tours, including the top-selling 10 days Vietnam Highlights itinerary. Saigon’s markets provide insight to a parallel life that co-exists alongside the modern face of the city. While throngs of visitors flock to Ben Thanh, which is undeniably beautiful, it doesn’t convey the genuine traits and atmosphere of a local Vietnamese market – of which there are many in Saigon. The markets just outside the city centre communicate the story of another life, that of Saigon’s local people, less influenced by tourists and focusing on the trade of goods between each other. These bustling, vibrant and colourful markets reveal unchanged traditions that have lasted centuries, where friendly haggling and the opportunity to meet with friends prevail. World Discovery’s Vietnam office has carefully selected five markets to create a ‘Top 5’ list where visitors can experience authentic Vietnamese markets and venture off the tourist map. Our experienced guides will happily lead the way into places few other visitors set foot. Contact World Discovery for details. 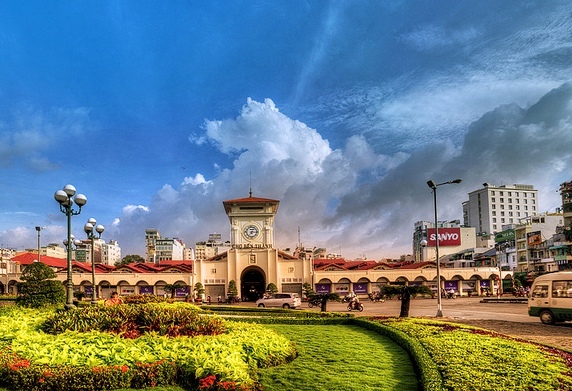 Whereas the majority of World Discovery passengers visit the highlights of Ho Chi Minh City (Saigon) on an organised private excursion with a driver and guide, there are also those who prefer to discover the city at their own pace. Visiting Saigon’s major tourism attractions has suddenly got a whole easier with the launch of a dedicated tourist bus service. Bus number 127 stops at destinations such as the Reunification Palace on Nam Ky Khoi Nghia Street, the Saigon Zoo and Botanical Gardens, and several museums in the downtown area. The bus departs from Ben Thanh Bus Station at the Quach Thi Trang roundabout (pictured), which is located across from the well-known Ben Thanh Market and September 23rd Park. This is within walking distance of the “Westerner Quarter”, an area packed with hotels and foreign-style restaurants centered on Pham Ngu Lao Street in District 1. The 9.8-km route takes 35 minutes to complete and is operational from 5.30 am to 8.12 pm with an eight to 10 minutes time gap between buses. The vehicles are designed to serve passengers in wheelchairs and tickets cost VND 4,000 (about 12p!) for the entire route. At 3.30pm on Wednesday 3rd October 2012 a tragic accident occurred on the UNESCO World Heritage listed Halong Bay in northern Vietnam. A local day-boat collided with a small tender boat resulting in the death of 5 passengers. World Discovery would like to assure you that all our clients are safe and well and not directly affected by this disaster. The day boat was reversing at the time when it hit and overturned the tender boat which was transferring 18 people from Sung Sot cave back to one of the Paradise Cruises luxury boat. The crew and management immediately coordinated with the local police and hospitals. 13 people were rescued with minor to no injuries, however, one person died on the transfer to the hospital and 4 other people were pronounced dead at the scene. Paradise Cruises have been cleared of all responsibility for the accident by the local authorities who are now involved in further investigations with the other day tour operator, thus the Paradise operations will not be interrupted. Our local representatives will call clients travelling today and during the next few days to check they are fine to continue travelling and to answer any questions they may have. Vietnam’s first-ever international hot air balloon festival will be held in the central resort town of Phan Thiet from August 29 to September 3. 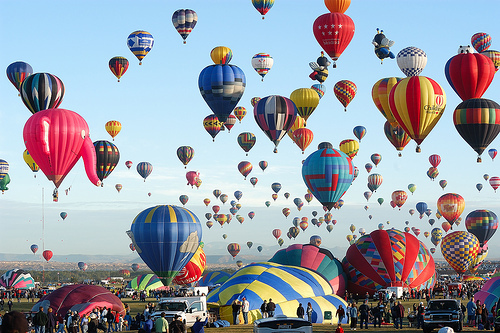 Balloons of various shapes, including a golden cat and a dragon fruit, will be operated by pilots from countries such as the Netherlands, Belgium, France, and Thailand. The performances are scheduled for early morning (6-7 a.m.) and late afternoon (5 p.m.) each day of the event. Other parts of the festival will be air sport performances, including paragliding and kiting. On September 2 there will be another highlight of the event: a night performance of over 20 big air balloons to celebrate Independence Day.